At Synthetik Software we are dedicated to bringing smart, feature rich software engineered to assist and inspire creativity. Our mission is to enable anyone, regardless of skill, to explore and enhance their creative potential with intelligent machine assistance. 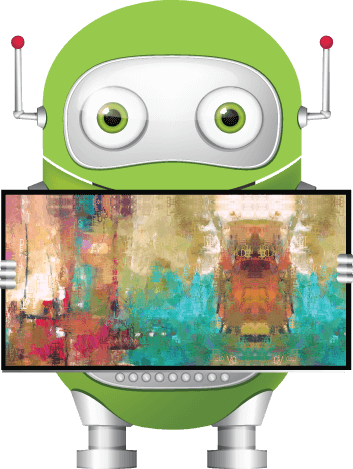 Synthetik Software started in San Francisco with the vision of building a GIANT ROBOT that could automatically paint and draw on huge canvases. 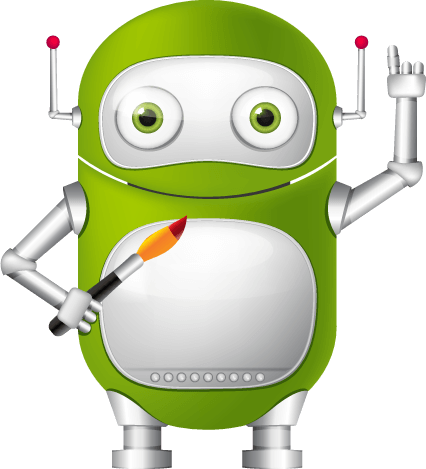 An obvious major step to making the giant robot paint, was to write the software to drive the robot. So, after one crazy-hard sleepless year, Studio Artist the software program, was incidentally born. *Automatically paints and draws video frame-by-frame from scratch. Studio Artist was officially launched at MacWorld NYC – minus the giant robot – to great fanfare and went on to win Best of Show and many more Best of Shows in the following years. The Robot is still on our to-do list. With the release of Studio Artist 5.0, Synthetik has launched the Studio Artist Public School Program providing Studio Artist 5.0 site licensing at no cost to struggling K-12 public schools worldwide. If you are a public school affliate or know of a school that could benefit from this program we would love to hear from you. Synthetik founder, John Dalton, was a principal of OSC – the first company to bring digital audio multi-tracking to the desktop computer with Deck. Deck was also the first audio software ever to combine audio, midi and video. Deck literally provided the foundation of Protools and later Final Cut Pro. Pretty cool, right? With the same visionary spirit John has once again pushed the envelope with Studio Artist by blending neuroscience, artificial intelligence, computer graphics and digital video. John is also a talented multi-instrumentalist and cat whisperer.